There's big money coming in to fund the space race to the Red Planet. Many Mars missions are facing a very blunt controversy: how much is it going to cost to send people up there to study and possibly colonize the Red Planet? A contender in the Mars space race is Mars One, a space tech organization that originates in the Netherlands. The company has two direct arms: the Dutch non-profit Mars One Foundation, and the British public company in charge of monetization, Mars One Ventures. Now, the Ventures profit arm has announced an agreement with Swiss InFin Innovative Finance AG to a shares takeover bid. 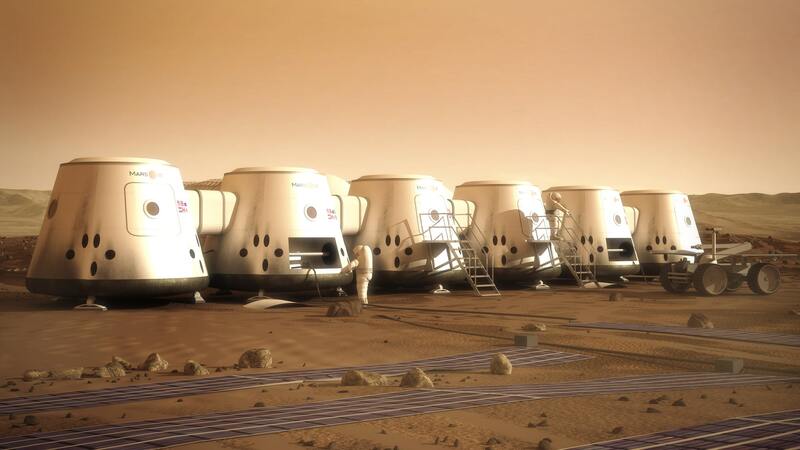 Conceptual illustration of the Mars One habitats. “The acquisition is now only pending approval by the board of Mars One Ventures,” the companies said in a joint announcement. The finance takeover solidifies Mars One’s efforts to establish a permanent human settlement on the Red Planet. On the Mars One website, they discussed their reliance on corporate investments and donations as a primary funding source. The space tech company did try to gain additional funding by pitching a television reality show about the missions to and life on Mars, but this was axed by their partner production company. To get to the Red Planet is a big dream that needs to bring in big bucks. The different companies gearing up to get us there are funded in different ways. NASA plans to bring astronauts to Mars itself by the 2030s. It’s funded by the US government using federal revenue from income, corporate, and other taxes. Lockheed Martin, based in Maryland, is another privately-owned aerospace company with dreams of the Red Planet dancing through its head. Their Mars Base Camp, a collaboration with NASA, believes it can send astronauts to space by around 2028. It sources funds from its numerous corporate profits, together with investments. While we’re not sure who can get us to Mars first, what’s certain is that it’s going to take a lot of money to do it.